Looking to Network This Week? Queensferry Ambition relaunches its popular business networking series and opens it up to non-BID members for the first time. Businesses in the east of Scotland are invited to get along to a series of free networking events starting this Thursday (26 May) at the Dakota Hotel in South Queensferry. They’re encouraged to take along their business cards for a morning of informal networking between 8.30am and 10am – hosted by Queensferry Ambition, the BID (Business Improvement District) for South Queensferry. They’ll be able to enjoy free tea and coffee and enter the prize draw. 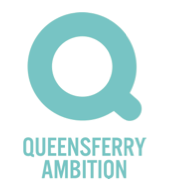 Queensferry Ambition Project Manager Maggie Mitchell said: “The event has been designed to bring businesses together for an informal networking opportunity. “Everyone is welcome. Just turn up and grab a tea or coffee and chat with other businesses.